We can ship our safety rails to any city in South Africa. If you would like a courier quote, please send your address and total order to us for a quote. Note: Kids Cove bears no responsibility for loss/damage to goods in transit by third parties as we have no control over this process. 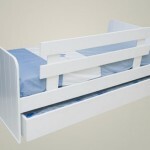 Our short or long safety rails can be fitted to any type of bed, and they fold away easily when not needed. 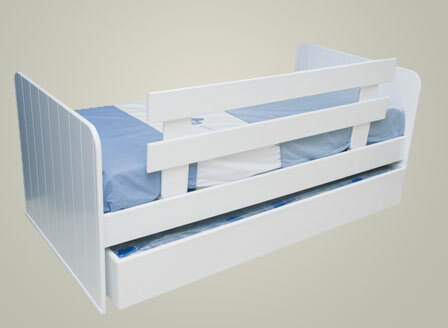 Long stabilisers flap open to fit underneath your mattress and there is no need to attach it to your bed permanently. 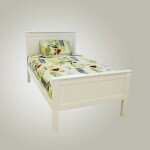 Available in shorter (1.2m) or longer (1.5m) length. On a standard length bed, the short rail leaves a gap to climb out of near the bottom whilst the lone one mostly closes that gap. 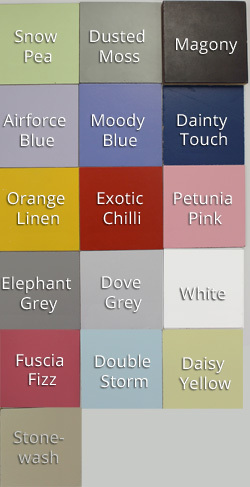 Available as a standard in white (we generally have stock) and in colour by order (4-6 weeks lead time for any orders).